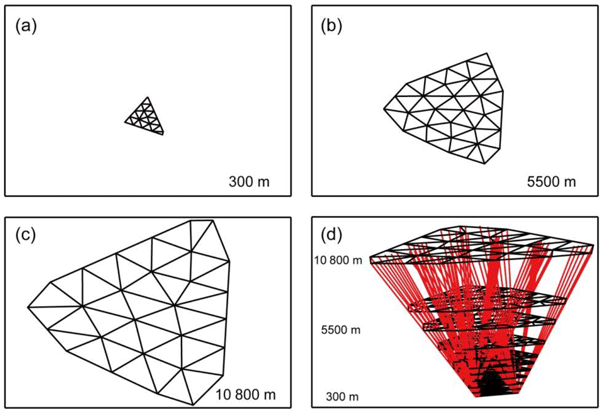 This paper proposes an optimal tropospheric tomography approach with the support of an auxiliary area, which has the ability to use the signals crossing out from the top boundary of the tomographic area. Additionally, the top height of the tomography body is determined based on the average water vapour distribution derived from the COSMIC data. The compared result reveals the superiority of the proposed method when compared to the conventional method. 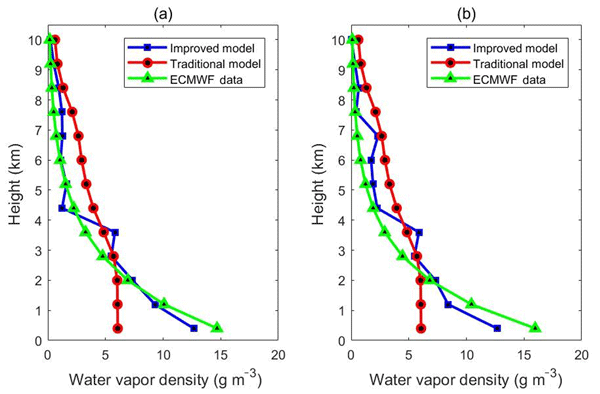 This paper captures the signature of heavy rainfall events using the 2-d-/4-d water vapour information derived from GNSS measurement in Hong Kong. The paper first analyzed the relationship between the two-dimensional (2-d) precipitable water vapour (PWV) and rainfall. And then, the four-dimensional (4-d) variations of atmospheric water vapour derived from the GNSS tomographic technique are discussed, especially in the vertical irection. Finally, some interesting results are found and presented. A troposphere tomographic method has been proposed considering the signal rays penetrating from the side of the area of interest. Given the method above needs the establishment of a unit scale factor model using the radiosonde data at only one location in the research area, an improved approach is proposed by considering the reasonability of modelling data and the diversity of the modelling parameters for building a more accurate unit scale factor model. Existing water vapor tomographic methods use Global Navigation Satellite System (GNSS) signals penetrating the entire research area while they do not consider signals passing through its sides. To solve this issue, an approach which uses GPS data with both signals that pass the side and top of a research area is proposed. The advantages of proposed approach include improving the utilization of existing GNSS observations and increasing the number of voxels crossed by satellite signals. Accurate knowledge of water vapor (WV) is vital for global climate studies. The Global Navigation Satellite System (GNSS) has been used as an emerging tool for sensing integrated WV (IWV). In the determination of PWV, surface pressure is required. However, few GNSS stations were installed with meteorological sensors back in the 1990s. Our research indicates that the ERA-Interim-derived pressure has the potential to be used to obtain high-accuracy IWV on a global scale for climate studies. Atmospheric weighted mean temperature (Tm) is a key parameter in precipitable water vapour (PWV) detection using GPS technique. This paper develops a new voxel-based empirical Tm model, which takes into consideration the lapse rate and diurnal variations of Tm. The theoretical RMS error of PWV resulting from the new model is generally less than 0.8 m over the globe. Therefore, it can be used as an alternative Tm determination method in the real-time GPS-based water vapour detection system. 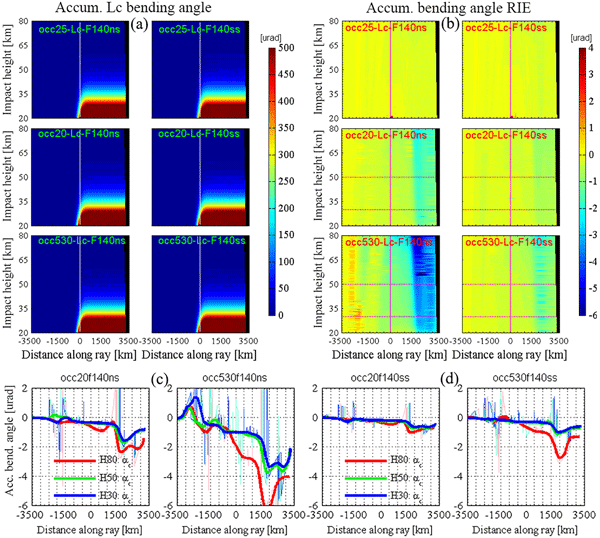 We introduce a new dynamic statistical optimization algorithm to initialize ionosphere-corrected bending angles of Global Navigation Satellite System-based radio occultation measurements. The new algorithm is evaluated against the OPSv5.6 algorithm developed by the Wegener Center using both simulated and real observed data. It is found that the algorithm can significantly reduce the random errors of optimized bending angles. The retrieved refractivity and temperature profiles are also benefited.